So the BCS championship game was another Alabama-dominated snoozer, one most of us expected from the beginning. Few of us, though, were smart enough to seek out alternative forms of entertainment last night. 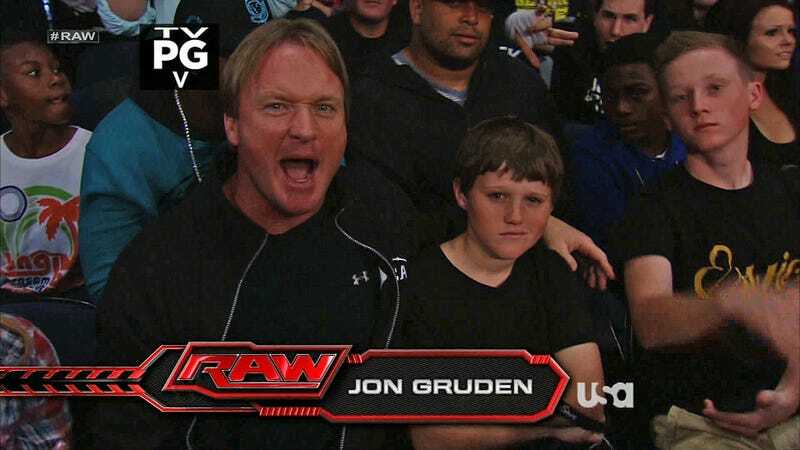 Future coach Jon Gruden decided instead to check out last night's WWE show in Tampa, and was treated to none other than The Rock himself and a top-tier performance from Sheamus, the only fighting Irishman who bothered to show up for competition last night in Florida.